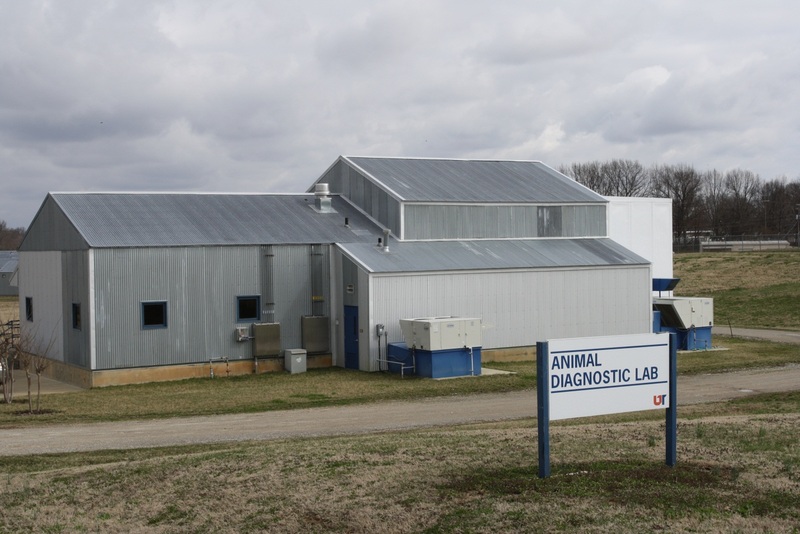 The West Tennessee Animal Disease Diagnostic Laboratory opened on May 22nd, 2008 on the campus of The University of Tennessee at Martin. The laboratory's address is 127 Campus Road, Martin, TN. The laboratory operates as a satellite facility of C.E. Kord Animal Disease Diagnostic Laboratory in Nashville with many of the same rules, regulations and fee services already in place at C.E. Kord. What are the lab's hours of operation? The lab is open Monday thru Friday from 8:00am to 4:30pm. Animals may be submitted to the laboratory on Saturdays, Sundays, and major holidays with understanding that, unless a herd outbreak is in question, the necropsy will not be performed until the following business day. What services does the lab perform? The lab is a tissue/sample collection site. Only necropsies are performed at the laboratory. On all necropsies tissues will be shipped overnight to C.E. Kord. If, on gross necropsy, a tentative diagnosis can be made, you will be informed of a tentative diagnosis. All definitive diagnoses, however, will be made by veterinary pathologists at C. E. Kord and reported to you and your veterinarian. Do animals presented to the laboratory have to be referred by a veterinarian? In the same way as C.E. Kord operates, animals do not have to be referred by a veterinarian. The owner will be strongly advised to list a veterinarian where the pathology report may be sent. In this way, a valid client-patient relationship will be maintained by the veterinarian and the client. No recommendations for preventative health measures or disease control will be made by the employees of the satellite, reflecting the policy that the local practitioner that has visited the farm and is familiar with the management practices is best positioned to advise the owner. Is there a charge for agricultural animals? There is no charge for necropsy of agricultural animals. On all other animals, the basic fee structure of C.E. Kord will be followed. State law defines those animals exempt from fees as being raised for food or fiber, and also exempts horses. Do you perform necropsies on companion animals? Yes. There is a fee of $70 for necropsies of companion animals. The fee is $105 if toxicology samples are submitted with the necropsy. These fees will be billed from C.E. Kord to the veterinary clinic listed. The client must have a valid account with that clinic. No payments are handled at the lab location. Is euthanasia a service of the laboratory? No. The laboratory is on a university campus and based on the possible danger to students and staff employed by the university, euthanasia will not be performed on the premises. No live animals will be accepted for necropsy.